Edward Lil George Sneatlum, 44 of Auburn, died June 6, 2018 in Everett, WA. He was born May 15, 1974 to Charles Ronald Sneatlum & Janet D. Patrick in Everett. Edward attended school in Tulalip, WA & Chemawa School in Salem, OR. After school he started in the gaming business in Tulalip & continued in Muckleshoot. He was a general laborer. Edward enjoyed stick games, fishing, hunting, playing pool, gambling and going to concerts. He was a member of Qua-Qua Amus Long House since 1990. He is survived by his wife, Kimberly Sneatlum of Auburn; step-daughters, Sonya Williams of Auburn, 3 grandchildren, Kelsey, Kimberly & Elizabeth all of Auburn. 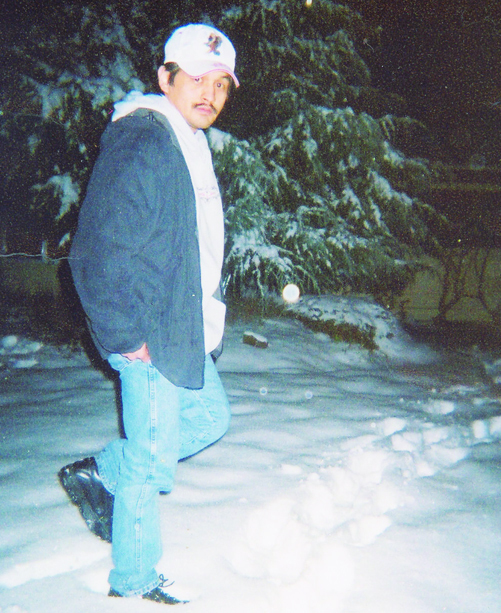 He is also survived by his mother, Janet Patrick of Tulalip; step-daughter, Alondra Velador; brothers, Charles Sneatlum & Timothy Jones both of Tulalip, numerous, aunts, uncles, cousins, nieces, & nephews. Edward was preceded in death by his father, Charles Sneatlum, Jr., grandfather, Charles A. Sneatlum, Sr., grandmother, Shirley Marie Sneatlum, grandparents, Wesley & Joyce Patrick, Aunt Sheryl Sneatlum – Teo, Aunt Charmaine Sneatlum, cousin, Derek Sneatlum, niece, Courtney Aho, niece, Ashley Aho, nephew, Michael Sneatlum, aunt Sunnee Sneatlum, uncle Cliffy Sneatlum, aunt Emeline Patrick, uncle Daniel Patrick, uncle Leonard “Abner” VanPelt, cousin, Cheryl Bagley, step-son, Robby K. Kublic & uncle Amos A. Bob & cousin, Justine Comenote. A visitation will be held, Sunday, June 10, 2018 at Weeks’ Funeral Home, 451 Cemetery Rd., Buckley, WA. Funeral service will be held, Monday, June 11, 2018 at 8:00 a.m. at Muckleshoot Pentecostal Church with burial at Mission Beach Tulalip Cemetery.